Cameron McNeill, president of MAC Marketing Solutions, said he expects sales of the 106 sustainably designed, luxury condos and townhouses will be brisk. The name Yu itself means “jade” in Chinese and the green gemstone is considered precious in Chinese culture. However, the new homes on the Wesbrook Village block won’t be green in name only. The housing complex is the first Canadian construction project by one of China’s largest property developers, Modern Green, a company that has developed more than 10 million square feet of green buildings in China and Australia using geothermal heating, energy-saving technologies and other sustainable building techniques. Last February, it donated $3.5 million to advance green building research by UBC’s Centre for Interactive Research on Sustainability. Built to conform to the principals of Feng shui as well as stringent REAP (Residential Environmental Assessment Program) gold standards, Yu was designed by Perkins and Will, an international firm whose other local projects include the Canada Line SkyTrain stations, the District of North Vancouver municipal hall and SFU’s Blusson Hall. The innovative building, located on the university’s south campus, will also feature a 5,000 square foot “living laboratory” and demonstration centre to showcase the most recent technologies in sustainable design. McNeill said this will likely be the first of many Modern Green projects in B.C. 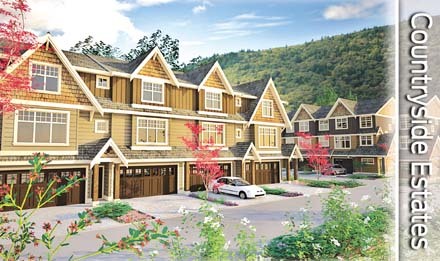 The development is expected to be ready to move into by the end of 2012, and asking prices start at $449,900. Imagine if B.C. Place Stadium had been built where the Bridge Studios are or near the north side of the Port Mann Bridge. Downtown Vancouver would not be the city of today. Expo 86, Molson Indy and the 2010 Winter Olympics probably would have gone somewhere else and the clusters of office and condo towers would be shorter and thinner. Instead of SkyTrain stations downtown, railway tracks and a barrel factory might still dominate the north shore of False Creek. The Burnaby and Port Coquitlam sites were among numerous proposals former journalist and one-time federal Liberal candidate Paul Manning studied in 1980 on behalf of Premier Bill Bennett. Gordon Campbell, before running for city council, was part of the Downtown Stadium for Vancouver Association that successfully campaigned for the site east of the Cambie Bridge. Almost 32 years later, the 1983-opened building has undergone what is arguably the most complex retrofit of any sports venue in the world and the mostexpensive renovation in Canadian. It reopens for the B.C. Lions tonight and Vancouver Whitecaps on Sunday afternoon. The stadium has historically relied on winter and spring trade shows and government subsidies to pay the bills, but it has paid off in other ways. It spurred a dramatic makeover of downtown Vancouver in the 1980s and 1990s and is intended to stimulate the completion of northeast False Creek. S uch a stadium was the brainchild of Erwin Swangard, the Pacific National Exhibition president. He proposed a $163.5 million open-air Multiplex in 1978 to succeed Empire Stadium, the aging legacy of the 1954 British Empire Games. Manning gauged proposals from politicians and citizens around the Lower Mainland and took a whirlwind tour of the continent’s biggest stadiums, including the concrete Houston Astrodome, Montreal Olympic Stadium and Seattle Kingdome. The Pontiac Silverdome near Detroit and the under-construction Metrodome in Minneapolis boasted a lightweight, inflatable roof technology using Teflon-coated fibreglass invented by New York engineer David Geiger. Manning said facility managers advised him to build more women’s washrooms, because of changing event demographics. The new wave of indoor stadiums contained elements of convenience and comfort driven by media trends. The government bought the site from Canadian Pacific Railway’s Marathon Realty for $60 million and went to work on the concrete donut that was eventually topped by a puffy, white roof when it was inflated on the second Saturday morning of November 1982. Construction paused for Queen Elizabeth II’s March 1983 visit and Canada’s first indoor stadium – with the world’s biggest air supported roof-opened on-time for $126 million on June 19 with a televised Sunday afternoon pageant. The first full-house was the next night when the Vancouver Whitecaps beat the Seattle Sounders 2-1. The Rolling Stones, The Who, U2 and Pink Floyd made multiple appearances. Major League Baseball didn’t expand to Vancouver, the original Whitecaps and North American Soccer League were gone after the 1984 season and the B.C. Lions struggled through the 1990s, after the big stadium novelty wore off. There were too many light blue seats, the acoustics were lousy and the lack of air conditioning kept fans away on hot July and August nights. The roof was supposed to be the biggest asset, but it became a liability. The 1996 Christmastime snowstorms nearly brought it down. Workers frantically shoveled and sprayed hot water, two days before the 3 Tenors concert on new year’s eve. In 1997, B.C. Pavilion Corporation considered converting the stadium into a two-level facility to accommodate smaller sports crowds while hosting conventions. The $235 million estimate was too much. Olga Ilich, the Liberal minister responsible for PavCo, insisted in May 2006 that the roof had another 15 to 20 years of life. But an internal June 2006 government report recommended a major overhaul “to bring it up to standards expected by clients and spectators at events” because the building had “worn-out assets which are critical to basic tenant operations.” The specific assets and costs were censored from the copy released to the media. The turning point was Jan. 5, 2007. As snow and sleet fell throughout the morning, alarms sounded at least five times but nobody activated the steam-infused roof heating system. A last-ditch, noon-hour air pressure spike caused an avalanche that tore open a panel on the west side. YouTube videos of air escaping the flapping, gashed roof at the future Olympic stadium went viral. It was patched up and reinflated in two weeks. Engineer Kris Hamilton eventually debunked the myth of high winds attacking the roof. It was preventable. By then, Campbell was six years into his Premiership and he enlisted Concert Properties president David Podmore at $1 a year to reorganize B.C. Pavilion Corporation in April 2007. They appeared together at the May 2008 renovation announcement, touting a lightweight fabric, Germany-devised retractable system reinforced by heavy steel. It would be done after the Olympics, but they kept mum on the cost. Behind the scenes, PavCo-hired experts estimated it would cost $253 million but be completed only two weeks before the Olympics’ Feb. 12, 2010 opening ceremony. The all-in cost was finally disclosed at $365 million in January 2009 but ballooned to $563 million by October of that year. Podmore still insists it’s on-budget. Crown corporation PavCo has until 2049 to repay the provincial treasury, assuming increased revenue from more events, more advertising and sponsorship and lease royalties from adjacent property. City council quashed Paragon Gaming’s controversial bid to expand Edgewater Casino, but the door remains open for a new casino and hotel complex to be attached to the stadium’s west end. The full business case has been shrouded in cabinet secrecy and the expenditure never debated in the Legislature or put to voters, the ultimate financiers. Some background information was eventually released in September 2010 via Freedom of Information. If there was a cost-benefit analysis or detailed site study, it could have been among the 243 censored pages of the 324 set of documents. Without disclosing a cost estimate, a real estate appraiser frowned on the only downtown alternative for a new stadium, north of Pacific Central Station on the so-called Esperanza lands. Central Park in Burnaby and the PacificLink property in Surrey were both unsuitable. The air-supported, fabric roof technology was obsolete and deemed the biggest barrier to summertime bookings. Conversely, going roofless and moving lucrative winter trade and consumer shows to the Vancouver Convention Centre was impractical because it would displace “higher economic impact, non-resident events” that PavCo wanted at its $883.2 million Coal Harbour facility. “Trade and consumer shows comprise the largest portion of building revenues, while sports and spectator events are the driving factors for sponsorship and food service revenues,” said the reports. Enter Schlaich Bergermann and Partner. The Stuttgart, Germany engineering firm pioneered a new generation retractable roof system at Commerzbank Arena in Frankfurt, which was rebuilt for $200 million a year before Germany hosted the 2006 FIFA World Cup. “It’s the only solution that can be used for an existing stadium as B.C. 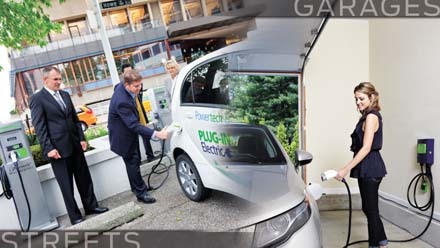 Place,” says SBP managing partner Knut Göppert. The structure, not the foundation, was reinforced. “It remains a very efficient system with minimal bearing forces,” said Göppert, who is collaborating with Geiger Engineers, B.C. Place’s original structural engineering firm. The roof is based on a hub-and-spoke system, like a giant bicycle wheel, with tension cables emanating from the hub to the outer ring, transferring the force and weight from the fabric to the cables and masts. The roof actually has three sections-a ring of glass separates the translucent fixed fabric from the gradually shaded retractable fabric. B.C. Place’s roof will open or close in under 15 minutes, with the Gore Tex-like retractable material housed above the giant centre-hung scoreboard. It’ll remain closed in wintertime. Frankfurt’s stays open in winter, because it wasn’t built to withstand snow. It is most useful during the city’s rainy summers. Göppert said B.C. Place’s roof will be able to carry up to 400 kilograms of snow per square metre. It won’t be melted off, but instead an inflatable roof layer will help the roof keep its shape and slough off excess snow. It’s a rare treat for architects to work in the same neighbourhood as a project they design. “I literally walk past this on my way home from work,” says Doug Hamming, the principal and project leader for Stantec Architecture. His firm is responsible for designing all things below the roof and is a key consultant on the roof itself. “Anywhere that you touch the building is something we’re involved in, it’s a phenomenal opportunity,” Hamming says. Concession stands, washrooms, suites and lounges were redone before the Olympics. The roof was spectacularly deflated on May 6, 2010 and removed panel-by-panel. A giant temporary tower mushroomed at the centre of the building and so did cranes to carefully install the 36 steel masts imported from Thailand. The 54-concrete columns were expanded to reinforce the structure so it could handle the weight. Earthquake dampers were installed throughout. A compression beam was built around the exterior and a tension beam inside to balance the spires, which hold the cables that support the fabric roof material. The roof system “moves around like a sea anemone” as much as two-feet for snow load or earthquakes, Hamming says. It hasn’t been easy. There were delays in 2008 and 2009 while the schedule, design and cost were reconsidered. Once it got the green light, customs red tape, time zones and cultural differences became challenges. For instance, cable strands started in Japan were sent to Europe for completion. Some components, including Volkswagen-sized connectors, were flawed at source or damaged in shipping and had to be repaired upon arrival or returned for replacement. Contractors were embedded in the source countries to monitor progress of components and materials and warn of any delays. Structal, a division of Quebec-based steel supplier Canam Group, told shareholders in April it was stuck with a $25 million cost overrun because of the late erection of roof-support cables by French subcontractor Freyssinet. Structal was hired on a $100 million fixed-price contract to supply and instal steel for columns, compression beams, catwalks, arches and facades. Some 5,000 construction workers came through during the life of the project and schedules were juggled while application of the roof material was delayed from winter to summer. In the final days, Hamming’s group is working hand-in-hand with PavCo on safety exercises and system tests, “hardware by hardware, door by door,” Hamming says, to gain the necessary permits and certificates. “Some things won’t be ready, but the building will be ready. Somebody who’s been familiar with the project and has a keen eye, it’s like where’s Waldo maybe, they might find a few things that should be working that aren’t,” Hamming says. The building has new red and grey seats, including rows closer to the action, an improved sound system and a giant centre-hung, shoebox-style scoreboard. Wifi abounds and there is a new in-stadium cell site to ensure everyone can Tweet or email photos or video from their visit, even several blocks away. You are currently browsing the Les Twarog Vancouver Real Estate and Condo Blog blog archives for September, 2011.